BILL BIEREMA’S MEMORABLE WEEK. John Brown Report, 2018 10 31. Born in Grand Rapids, MI in 1928, Bill was a Maintenance Man at a Furniture establishment in Zeeland, MI, retiring at age 64. The Bieremas now have a retirement home at Upper Silver Lake, near Ludington. 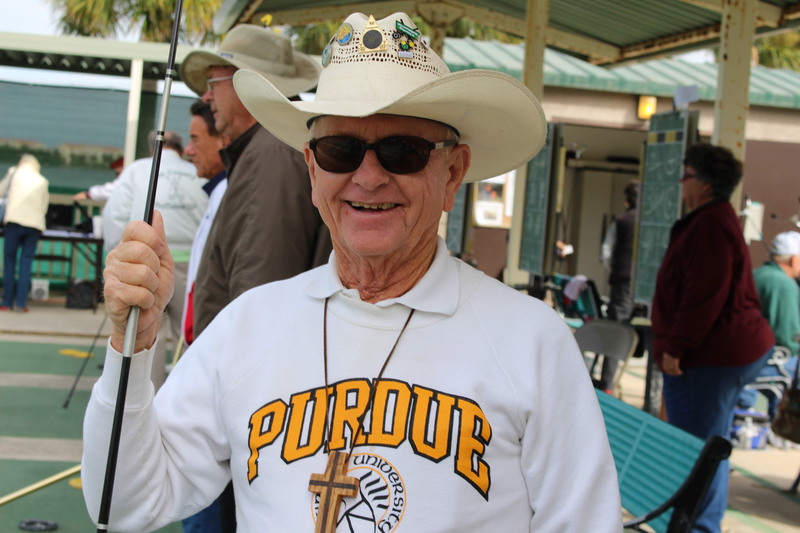 After retiring, the Bieremas wintered in Englewood , Florida for 25 years, with no shuffling. Now get this – upon arrival in Golf Lakes, Gib Stannard taught Bill Bierema to shuffle. (Gib will turn 104 in December).
. Letha DeVries recently returned to competition, placed 1st in Ladies Main at Golf Lakes after long absence as a nurse during Charlie’s long steady recovery. We salute her success in both efforts.